You get into bed, exhausted. Given you’ve been falling asleep on your feet all day, it’s only reasonable to expect you’ll be out like a light in two seconds flat. Except, the moment your head hits the pillow and your eyes close gratefully in anticipation of sweet slumber, your brain decides it’s time to party. And invites everything you’re worried about over for a shindig. It’s because the most effective way to avoid dealing with our worries is distraction – something that’s easy to find during the day by simply keeping ourselves busy. We’re all very good at putting worrisome thoughts in a box in the corner of our brains, and using busyness as the lid for that box. The only problem with this technique is that at night, just as we lay our heads down to rest, that lid jumps off the box in our brains, and our worries are able to come out and play. Is there a better way to deal with those anxious thoughts? One that will allow us to actually get some sleep? Yes, I reckon there is. I call it ‘Scheduling time to worry’. There are a few good reasons exercise is great for stress and anxiety. One is because exercise releases hormones that act in a similar fashion to anxiety medication – regulating mood and relaxing the mind. Another is that when you are exercising, your mind has license to run wild and free. By setting aside time for exercise each day, you are effectively setting aside time for worrying. By the time you’ve finished exercising, there’s no need to stuff all those worries in a box in your brain because they’ve had a chance to be ‘heard’ and are effectively neutralised for the day. Now, they can just sit there quietly in your mind and refrain from interrupting your sleep because they know they’ll get their chance to party again when you exercise the next day. One of the most effective things I’ve done to manage worries and anxiety is setting aside time in the morning to journal 750 words. I start with the words ‘Today I am worried about …’ and continue writing from there. The most important thing I do here is, once I start writing, I don’t stop till I hit 750 words. I find if I stop writing I can get caught up in my head and it makes me more anxious. If I keep writing, no matter what, even if I’m writing ‘I don’t know what to write here, I don’t know what to write here’, I go off on surprising tangents and often come to a surprising solution for a given problem … or manage to make peace with a situation I previously couldn’t process. 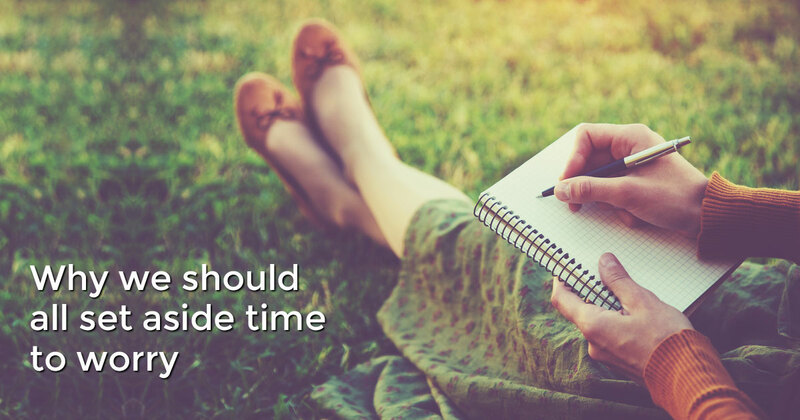 You don’t have to write 750 words – you can just set yourself to write for 15 minutes. Or 300 words. The most important thing is that once you start writing, you don’t stop until you’re done. It’s also worth noting: for a while I switched to doing my 750 words at night just before I went to bed. I thought this was a good way of dumping all the negative thoughts out of my head before trying to sleep. What I found was that I spent all night dreaming about the things I wrote and this wasn’t very restful. Consequently, I’ve since shifted back to doing my 750 words in the morning. Another variation on the above is to write a particular worry down in a book, close the book, and tell the worry you’ll come back to it later. A friend has said she’s found that when she comes back to that book, the worry she wrote down never seems as big as it did before … or has ceased to be a worry at all. I suspect the reason this works is because we spend a lot of time trying to invalidate our worries, or having other people invalidate our worries. Which isn’t all that useful. Worries are worries. 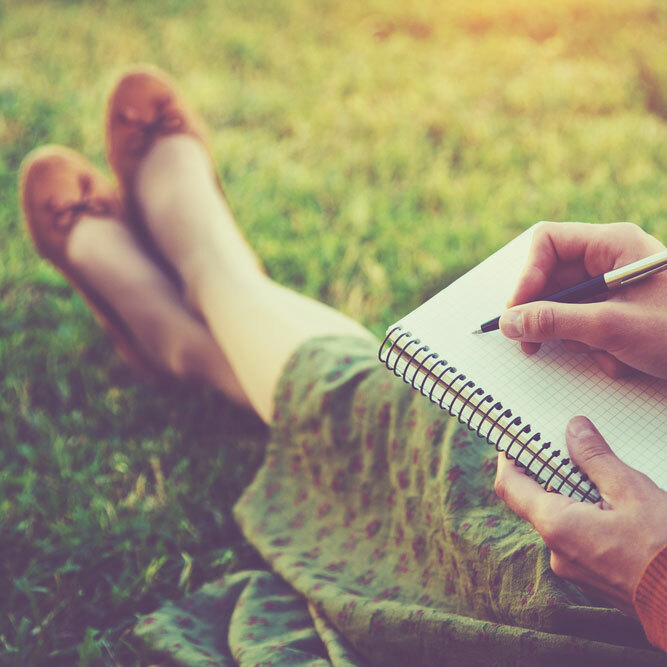 Writing them down is a form of validation, and quite often that simple act of validation is enough for the worry to loosen its grip on your mind. Have you ever gone for a walk with a friend, or chatted with one on the phone, and at the end felt lighter and freer? Do you joke that you just spent 30 minutes solving the problems of the world? That’s because you did. Talking things out with someone – especially someone who’s willing to listen and not try to solve everything for you, or tell you about the time they had a similar problem – that’s such a gift. It’s another way of airing your worries and freeing them from your head, and in doing so, taking away a lot of their power. What if you don’t have a friend to chat with? Most phones these days come with an app that allows you to record yourself. So, as silly as you might feel, talk into your phone and tell it all the things that are on your mind. You don’t have to listen back to the recording. And you can even delete the recording straight away if you like. I’m always amazed how the act of verbally articulating my worries helps put them into perspective and takes away the power they have over me. Humans are very good at avoidance – it’s our natural and preferred method for dealing with most kinds of discomfort. But, that avoidance almost always leads to a different kind of discomfort (in the case of worrying, lack of sleep – something that can exacerbate anxiety and stress). Being pro-active when dealing with our worries gives us previously unrecognised power over them. And allows us to get through our days without the constant buzz of anxiety we didn’t realise we’d become very used to. Do you have an effective way of dealing with worries that doesn’t fall in the category of ‘avoidance’? !